It is ‘Dubai Miracle Garden weather’ once again. This means that we are enjoying winter at the moment, with caveat on what a UAE winter is really like. 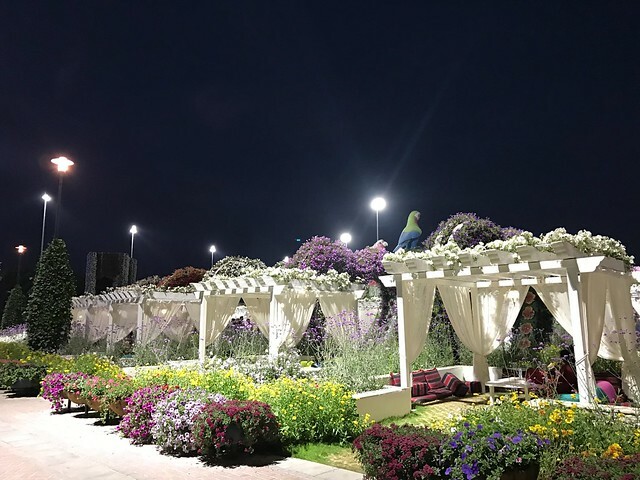 If you are planning to visit or revisit Dubai Miracle Garden, this post is for you. This is a combination of ‘how to get the most out of your visit’ and ‘frequently thought of but never been clearly been said out loud and responded at the moment’ type of post, shared from a point of view of someone who have consecutively visited this garden in the past 3 years. 1. 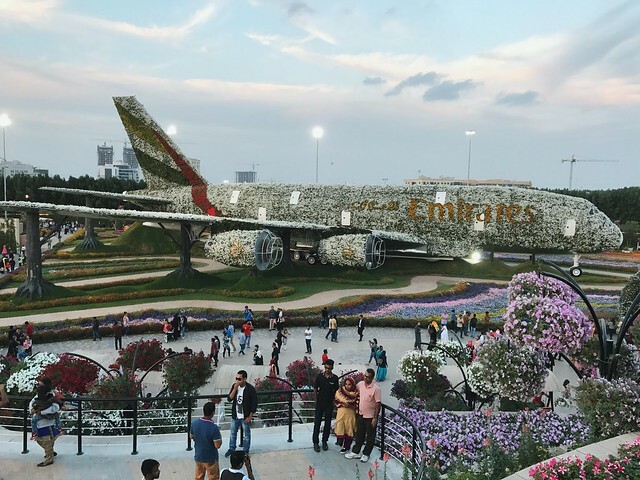 Is Dubai Miracle Garden worth the visit or return visit? 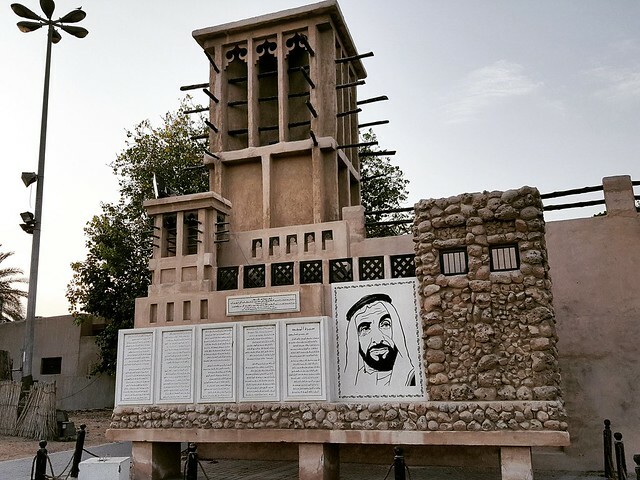 For first time visitors, it would be an enjoyable experience and realization of how Dubai was able to build this beautiful garden despite the brutal weather condition in the lower Gulf. Of course, there is a big chunk of investment, so to speak. For tourists who came from places where there is an abundance of flowers and nature-related attractions, this might be considered skippable. The other way to look at it though is to think of visiting an architectural exhibit, with replicas of Burj Khalifa (tallest tower in the world), Eiffel Tower, and more, which are made up of flowers/ plants. For returning visitors, there is always something new. I almost wanted to skip a visit to this garden this year, if not for a family member who is visiting. I am so glad we went because it definitely outperformed the showcases the past years. I will not spoil it for you, but the giant size replica of Emirates Airlines plane and new architectural replicas are among the additions. 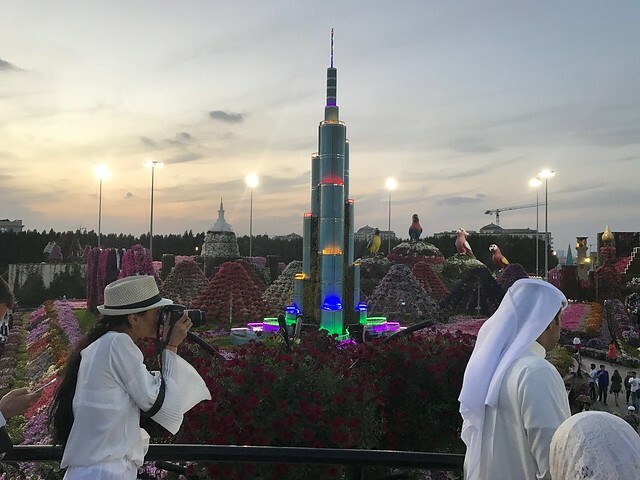 Not to forget that Dubai Miracle Garden’s total area had significantly increased since phase 2 of the garden (used to be referred as Butterfly Garden) has been joined with phase 1 area. The entire garden has been restructured with a more logical and appealing (new) layout. There are some artworks and pieces that will look quite familiar, but you would get a ‘first time visitor experience’ feel, in general. 2. Is the entrance fee expensive/ more expensive than previous years? 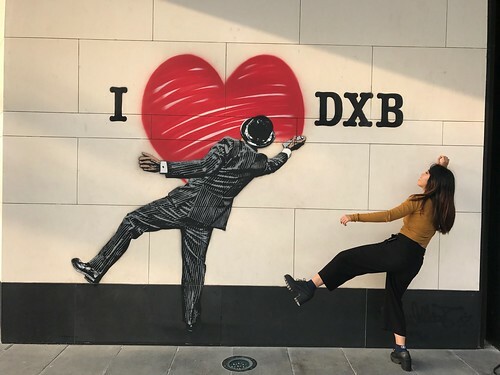 In 2017, the entrance fee skyrocketed to AED 40 per adult visitor. That is in comparison to almost AED 15 ticket 3 years ago. However, this fee is reasonable enough for what is in store this year. Overall, it is value for money when all factors are considered, e.g. enhanced visitor experience, parking conditions, cleanliness, safety, security, dining options, customer service, etc. 3. 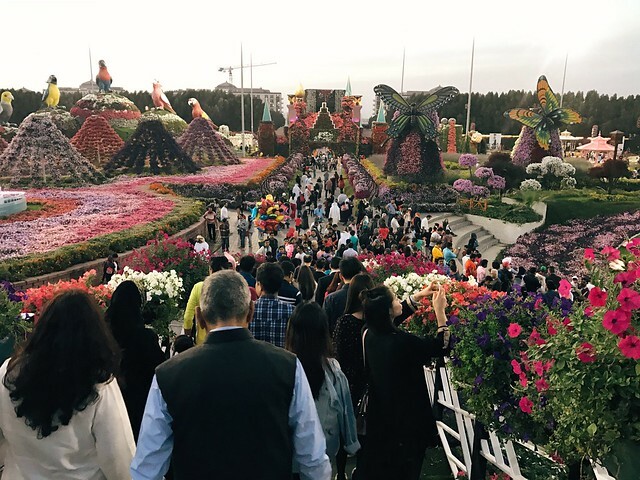 When is the best time to visit Dubai Miracle Garden? Between December to February while it is still ‘winter’ in UAE. If you would like to avoid the crowd and are in the mood to take several photos with less intruders, do visit as early as the opening hour (i.e. 10:00 AM). If you would like to see the two personalities of the garden, do visit an hour before the sunset. You will get to experience the day and night personas then. However, it would be quite crowded, manageable though. We visited on a Friday (weekend) of this month of January pre-sunset and there was sea of people. It was worth it because the sunset made the photos and ambiance more beautiful; we have always visited early in the morning the past years. Some visitors like the crowd though, it satisfies their competitiveness. 4. What should you wear? Some UAE residents look forward to the winter season to be able to utilize their winter clothes in full blast or look at it as an opportunity for fashion show off. 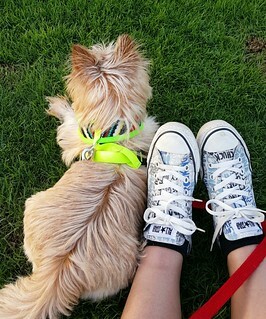 Although the weather is quite bearable with light clothing. It depends on your stamina and what you are accustomed of. Take note that the temperature is (just) between 17 to 21 degrees C. You would be surprised to see a party of visitors wearing shorts, winter clothes, maxi dress, beach wear, and the unimaginable. That may sound like contradictory of the strict dress code in UAE. The point is the ‘code’ is to be decent enough depending on which place of interest one will visit. I personally would suggest to be on the safe side when you are in a Muslim country. But more than that, it is out of respect and to demonstrate cultural awareness. No. But guess what? I saw a white (relatively) small cat carried by a lady. She was not asked to exit the garden. I guess they are less or not tolerant of dogs being in public places. It was extra challenging to find a parking spot that weekend in Al Bastakiya area. 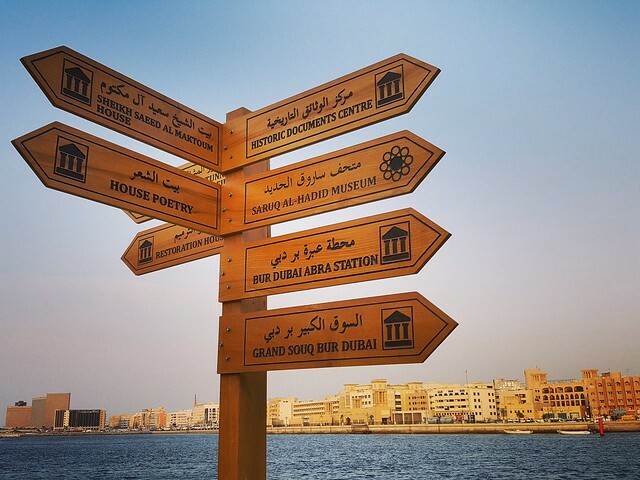 We were able to park near Dubai’s Heritage Village. Hence, what was supposed to be a straight to the door dining experience at Arabian Tea House (formerly Basta Art Cafe) turned out to be a leisurely revisit to Old Dubai. 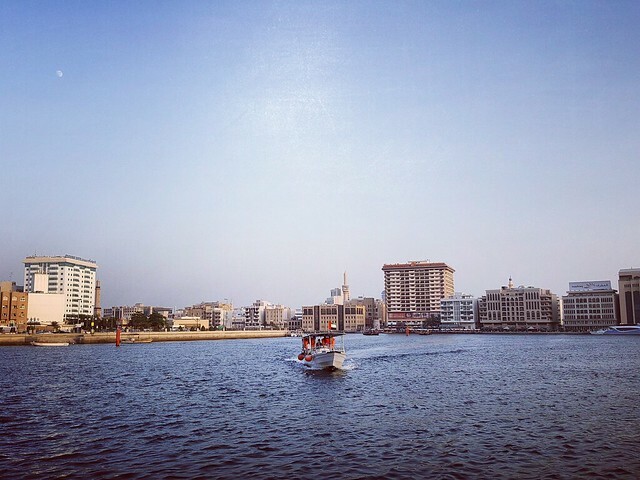 It was quite liberating to be walking by the Dubai Creek again. The last time was in 2009.